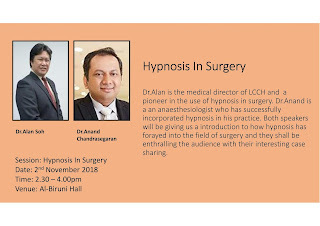 Dr. Alan will be introducing the concept of conversational hypnosis designed to shift expectancies so as to create a placebo effect to mitigate adverse effects induced by the disclosures of informed consent. 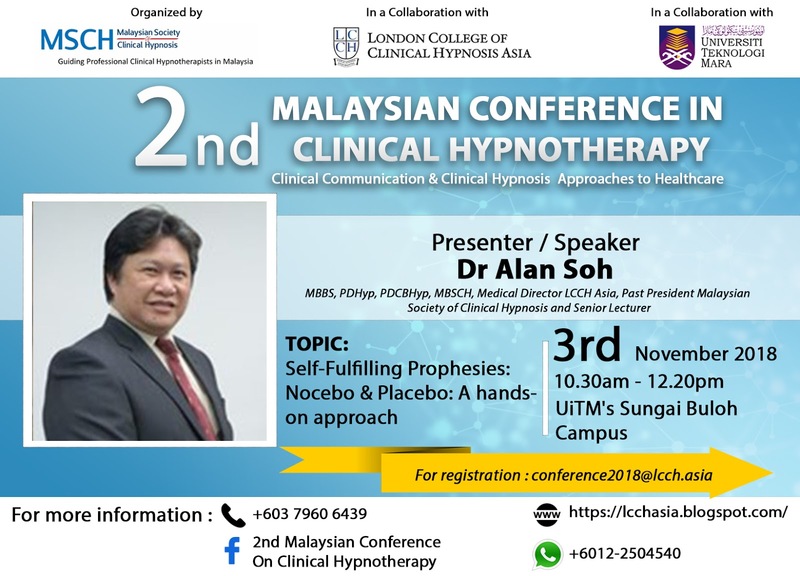 LCCH Asia, MSCH and UiTM would like to invite you to attend the 2nd Malaysian Conference On Clinical Hypnotherapy which will be held from 1 to 3 November 2018 at UiTM's Sungai Buloh Campus. 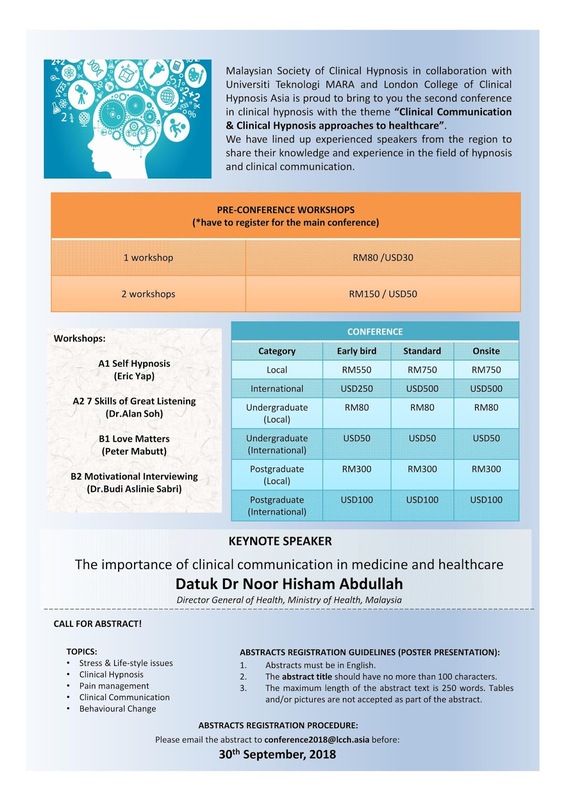 You can register for the conference and workshop(s) (if you wish to attend workshops associated with the conference) by using the online form available here - https://bit.ly/2PdnsrK. 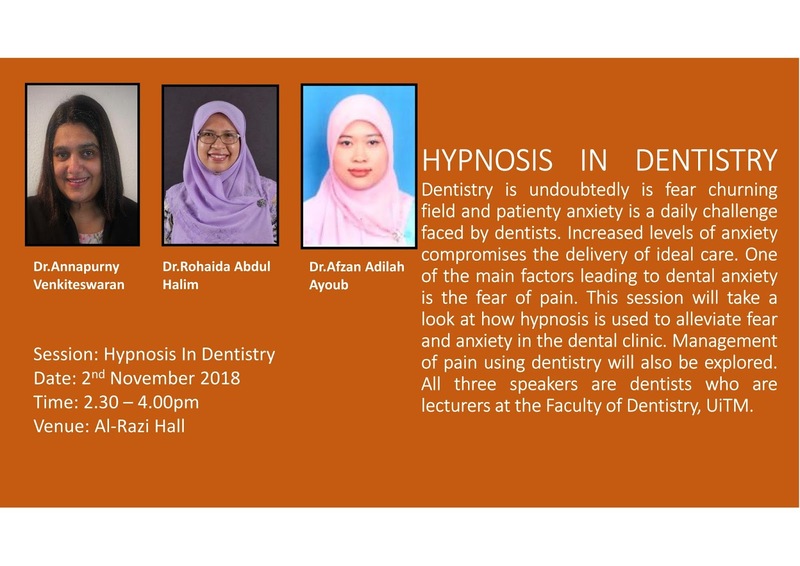 Here are some of the exciting talks that attendees at the conference can expect. We are delighted to invite you to share in Malaysia’s second evidence based conference In clinical hypnotherapy. 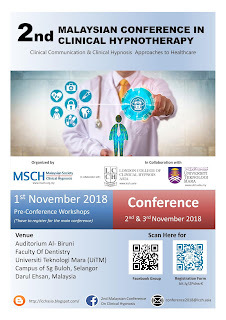 It show-cases research and clinical practice by practitioners from medical, dental, psychiatric, allied healthcare, and clinical hypnotherapy professions. 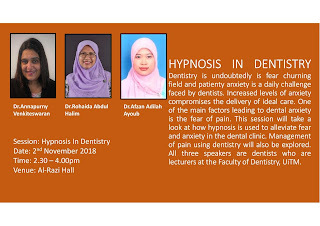 We will also be launching South East Asia’s first Hypnodontic Clinic, located at UiTM Dental Faculty. 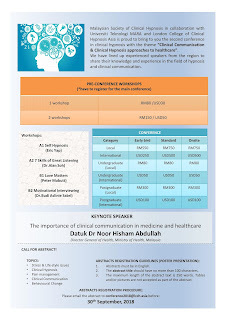 Our theme is Clinical Communications and Clinical Hypnosis Approaches in Healthcare. 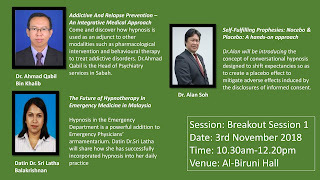 We clearly need new approaches to help combat and manage modern illnesses and the impact of stress in society. 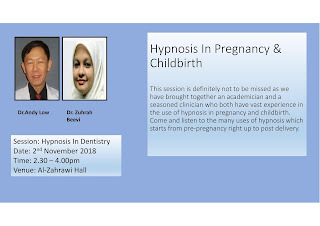 Clinical hypnosis helps in all areas involving communication. 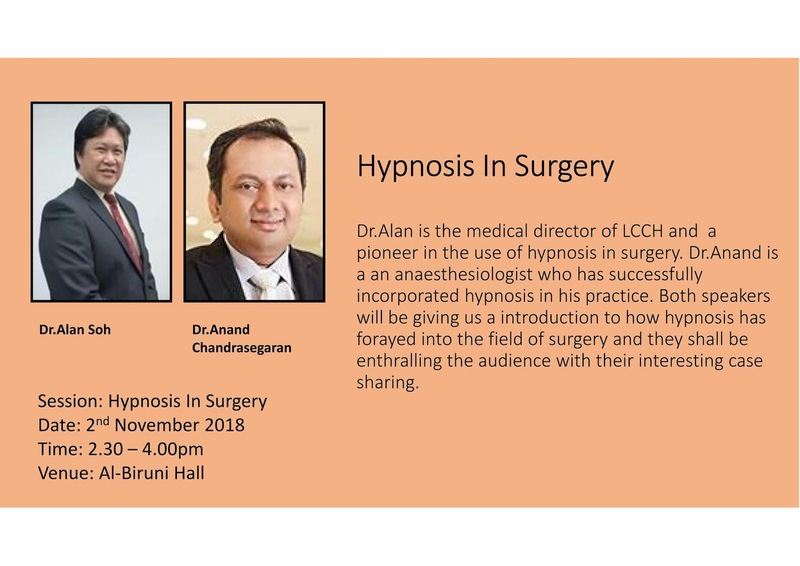 It is considered the most potent non-pharmacological relaxant known to science and evidence-based studies confirm that clinical hypnosis can improve patient outcomes and reduce complications for patients undergoing surgery. The evidence additionally points to accelerated recovery and healing for patients with physical and emotional conditions. 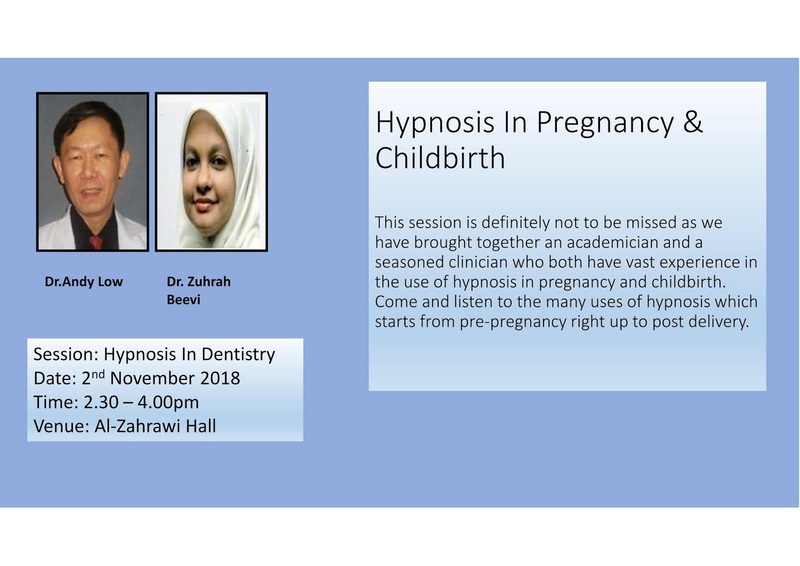 This second conference, provides the opportunity for participants to have a hands-on experience of clinical hypnosis, to discover what “hypnosis” is for themselves, to learn about local research and to hear from both local and international experts. 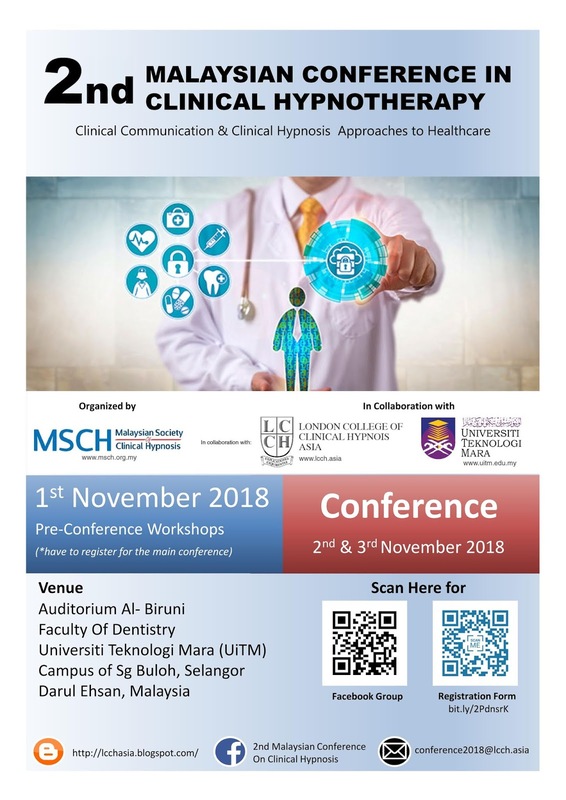 We look forward to meeting you at the conference, to share each others ideas and opinions to explore new ideas to enhance patient and clients experience.